Ihr Tore zu Zion also called Ihr Pforten zu Zion (You gates of Zion), BWV 193, is a sacred cantata by Johann Sebastian Bach. He composed it in Leipzig for Ratswechsel, the inauguration of a new town council, in 1727 and first performed it on 25 August 1727. Unfortunately, the music survives in an incomplete state. While living in Leipzig Bach composed several cantatas for the Ratswechsel, the inauguration of the newly elected town council. This event took place in a festive service, which was not part of the liturgical year, on the Monday following the feast of St. Bartholomew on 24 August. In 1723, Bach's first year in Leipzig, he began the series with Preise, Jerusalem, den Herrn, BWV 119. Bach first performed Ihr Tore zu Zion, BWV 193 on 25 August 1727 at St. Nicholas Church. 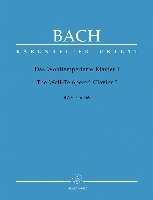 The words are by an unknown poet, who is assumed by Christoph Wolff to have been Bach's regular collaborator Picander, the librettist of the related secular cantata. The text identifies Leipzig with the holy city of Jerusalem, praising God as the protector of the "Leipziger Jerusalem". Ideas from psalms are included, using Psalms 87:2, "The Lord loveth the gates of Zion more than all the dwellings of Jacob." in movement 1, and Psalms 121:4, "Behold, he that keepeth Israel shall neither slumber nor sleep." in movement 2. The work shared material with a secular cantata which premiered the same month. 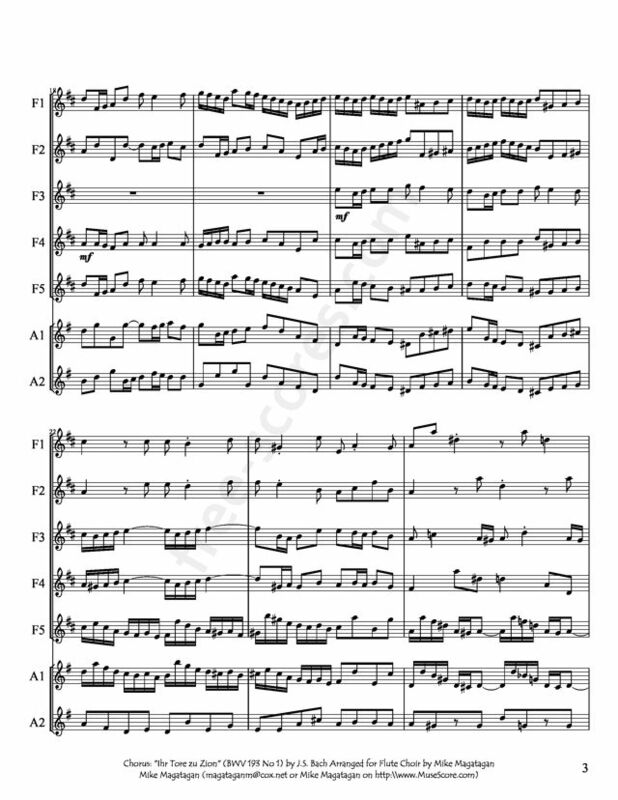 Ihr Häuser des Himmels, ihr scheinenden Lichter, BWV 193a, was a dramma per musica (drama for music) composed for the name day of Augustus II the Strong on 3 August 1727. Movements 1, 3 and 5 of Ihr Tore zu Zion are probably a parody of the secular work. 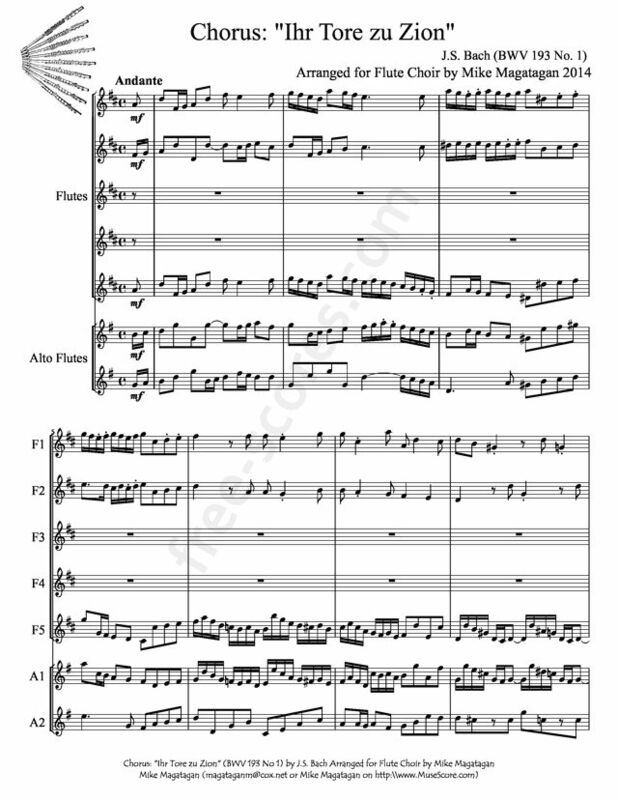 However, the music of this piece, is also lost. According to Alfred Dürr, both works may include earlier music, perhaps composed in Köthen. One movement of the text of Ihr Tore zu Zion, a recitative, is lost. It is possible that a final chorus is also missing, but the cantata is normally performed with the opening chorus repeated at the end. The surviving music was first published in 1894. It cannot be given a satisfactory performance without a certain amount of reconstruction of lost material, as the parts for tenor and bass are missing, as is the basso continuo for all of the music. A reconstruction was made for Helmuth Rilling in 1983 by Reinhold Kubik. Ton Koopman made a version for his 1999 recording, adding a tenor voice, three trumpets and timpani, to achieve the scoring Bach usually used for festive occasions like this. The chorus is opened by a long ritornello, which is repeated completely in the middle of the movement, but not in the end. The existing vocal parts suggest that the choral writing was mostly in homophony. The first aria is a minuet in da capo form. Musicologist Julian Mincham likens the interplay of oboe and strings to music of Handel. They begin in unison, then the oboe plays only the top notes of the strings, finally it "emerges with its own melody". 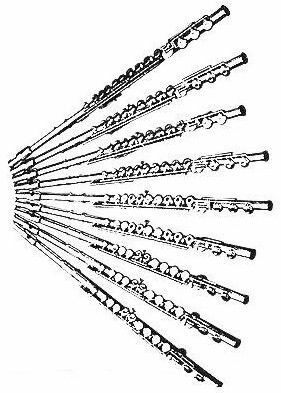 In the second aria for alto, oboe and continuo, the ornamentation of the oboe stands for God's blessings. 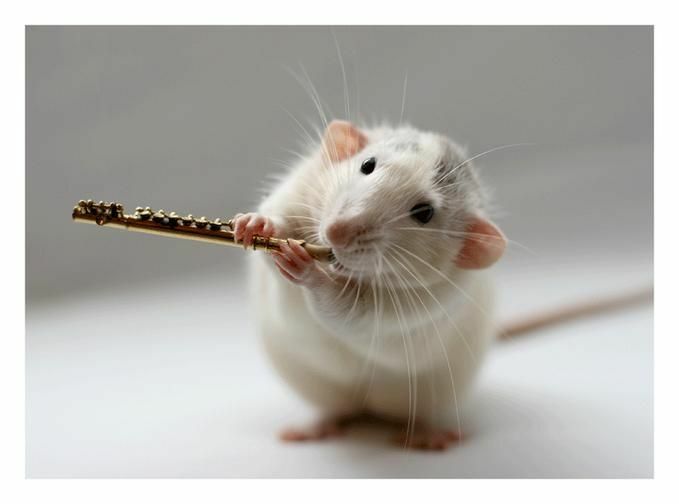 Mincham concludes from the unison of voice and oboe from measure 13 that mankind is depicted in tune with it. 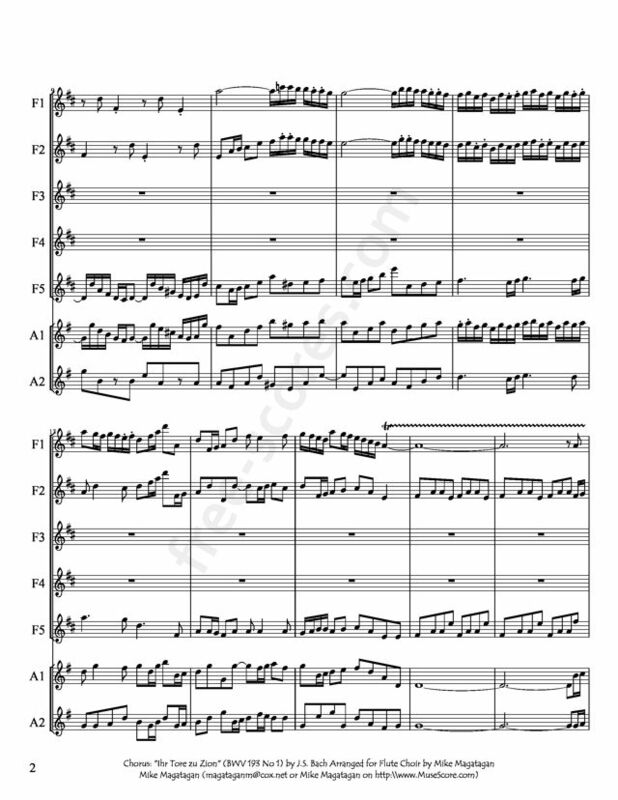 Although originally scored for Chorus and Orchestra, I created this arrangement for Flute Choir (5 Flutes and 2 Alto Flutes).